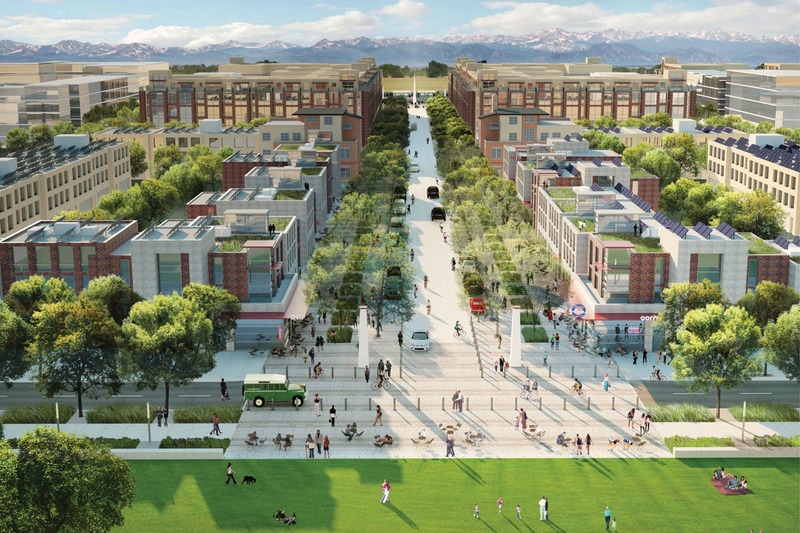 Panasonic has a smart city showcase in Denver, Colorado, USA where the company is showing off its technology to achieve its vision of carbon neutrality. Inside the showcase, Panasonic showed off its electric vehicle (EV) charging, dockless scooters, among others that are in trend for smart city developers. They also have ways of showing how cities can solve their housing affordability issues by designing and displaying their model of space-efficient housing. Streetlight technology was also on display inside the company’s showcase, as well as solutions on how this technology can be used as an effective infrastructure to support 5G networks, another buzzword in the smart city industry. The company also partnered with the City and County of Denver and other governmental and nongovernmental agencies. To the company, the showcase is more than just about its technology. "From our perspective, smart cities are first and foremost about stakeholder alignment,” said George Karayannis, the Executive Director of Panasonic CityNow Smart Districts. "That sounds easy and it sounds obvious, but it's extremely difficult at city scale to get large, complex organizations to define and then agree to pursue collective objectives that we can only do together, and to keep them focused on that over quarters and years." The showcase opened in March 2018 on Panasonic’s 100th anniversary. Panasonic Corporation, together with its subsidiaries, develops, produces, sells, and services electrical and electronic products under the Panasonic brand name worldwide. It operates through Appliances, Eco Solutions, Connected Solutions, Automotive & Industrial Systems, and Other segments. The Appliances segment offers air conditioners, TVs, refrigerators, washing machines, personal care products, microwave ovens, digital cameras, home audio equipment, video equipment, fixed-phones, vacuum cleaners, rice cookers, showcases, compressors, fuel cells, etc. The Eco Solutions segment provides lighting fixtures, lamps, wiring devices, solar photovoltaic systems, water-related products, interior and exterior furnishing materials, ventilation, and air conditioning equipment, air purifiers, bicycles, nursing care related products, etc. The Connected Solutions segment offers in-flight entertainment systems and communications services, electronic components mounting machines, welding equipment, PCs and tablets, projectors, broadcast and professional AV systems, surveillance cameras, etc. The Automotive & Industrial Systems segment provides automotive use infotainment systems, electrical components, automotive mirrors, lithium ion and automotive batteries, dry batteries, automation controls, electric motors, electronic components, electronic materials, semiconductors, LCD panels, etc. A smart city is a modern, often highly-urbanized area that uses technologies to supply information with the goal of efficient management of assets and resources. A smart city is highly characterized by operational efficiency, shared public information, and an improved quality of government services and citizen welfare. As discussed in our previous article, companies like Panasonic are joining in the trends in smart cities these days. With a changing face of parking, car spaces may now be converted to scooter spaces, with the encouraged and increasing use of scooters to replace cars. Smart parking systems will also be expected to replace traditional parking spaces. There is also a predominance of scooters over bikes. Last year, companies are promoting the use of scooters over bikes. With companies like Lyft pledging to roll out scooters more in several markets, this year, experts are expecting consumers to ditch their bikes for scooters. And more importantly, and not just limited to smart cities alone, there is also an emphasis on 5G. The 5G trend started last year and was slow to develop. This year, an acceleration in the technology is forecast by many. The Panasonic building itself is even generating its power sustainably from solar panels on its rooftop and the other panels on the area. Panasonic aims to use all these technologies to uphold the Paris climate agreement and its goals of carbon neutrality, among others.